FirstCar is on the side of young drivers. We always aim to offer impartial advice to help you through the learning to drive journey, to help you pass your test and navigate through those tricky first few months of independent driving. We recently launched the FirstCar Awards to help recognise and reward those companies leading the way for young drivers and to help guide you when making key purchasing decisions. New for 2019, we're introducing a Most Wanted First Car award. This award is for the coolest, most desirable first car. From a shortlist put together by our expert judges, the prize will go to the car you vote as the 'Most Wanted First Car of the Year’. In other words, we're not asking you to tell us which is the most sensible buy, it's the car you really want, the car you would buy if a long lost relative left you some money. But we're not talking about outlandish or unrealistic first cars – these cars are within reach – if you are lucky. (So the likes of the La Ferrari, Bugatti Veyron or the McLaren F1 aren't on the shortlist). Audi brings a touch of class to the small car market with the brilliant A1. Small, fun and easy to drive, the Citroën C1 makes a great first car. With great looks and lots of scope for personalisation, the Fiat 500 makes a stylish first-time buy. We think the latest Ford Fiesta is the best yet. It's great to drive and very safe. A modern classic. We love the MINI Hatch, but what do you think? Stylish, practical and safe, the Peugeot 208 has much to recommend it for first-time buyers. Packed with technology, the Renault Clio looks terrific and ticks all the right sensible boxes too. 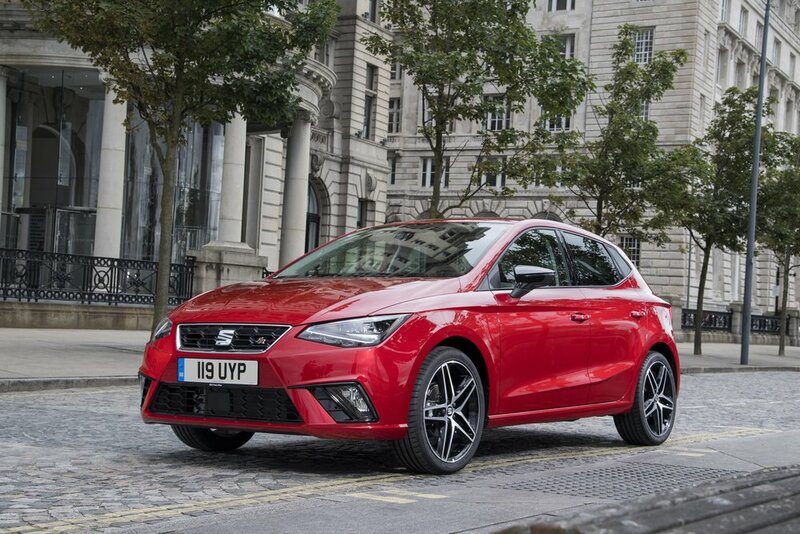 The latest Seat Ibiza is keenly priced, fun to drive, and very safe indeed. The striking Suzuki Swift is one of our favourite superminis, with lots of kit and fashionable looks. Looking for a first car you'll love driving and which won't let you down? How about the Toyota Aygo? With lots of options to personalise the appearance inside and out, you can really express yourself with a Vauxhall Adam. Safe, roomy, easy to drive and stylish, the Volkswagen Polo is pretty much the complete package. Voting has now closed! Thanks to everyone who got involved!